Atlantis has various compartments designated as scientific areas. These spaces are dedicated to the sole use of the scientific party and the SSSG Technicians laboratory, hold storage, or staging areas. This is a general purpose laboratory, the largest and most useful of all the internal spaces. The lab has direct access to the Main Deck, and is across a passage from the Bio/Analytical and Electronics/Computer Labs. The space can be partitioned if necessary to isolate science activities. Two large sinks are available, one with a source from the uncontaminated seawater system. 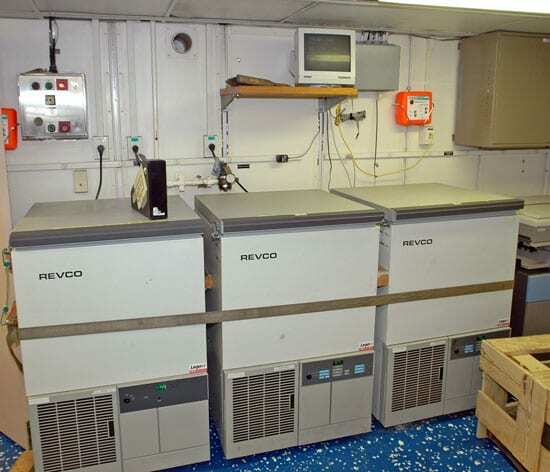 Compressed air is routed into the lab and there is also a fume hood and a standard household refrigerator/freezer in addition to the three -70 degree chest freezers. Three science interface boxes are provided to access the ships data wiring. Two data system displays (showing time, position, seawater temperature and conductivity, etc.) are semi-permanently mounted. There are two general use PCs running Win2K and a network laser printer is located at the forward end of the space. Two iMacs are set up for Alvin digital video capture from the adjacent science digital duping rack. The digital tape duping equipment is discussed in detail in the Alvin video section. Also located in this lab space is a scrolling digital banner providing pertinent Alvin updates throughout the day such as ascent start time and anticipated surface time. An area is located at the forward port end of the Main Deck level specifically designed to be isolated from the rest of the laboratory spaces for installation of scientific equipment requiring more precise temperature control and/or elimination of contamination from other areas. 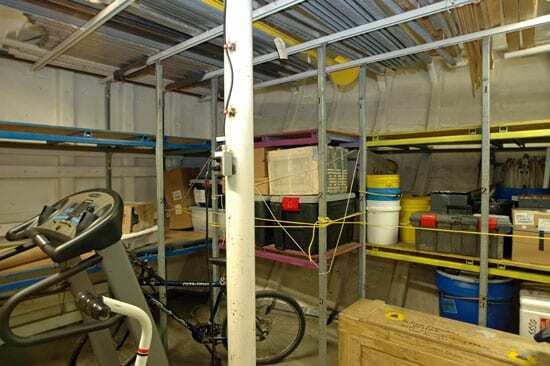 The space is accessible from the Main Deck passage and from the area inboard of the walk-in science freezer and cooler. A slightly positive air pressure is maintained to reduce intrusion of outside air. Temperature is controlled to +/- 1 degree C. A fume hood is provided in this space. A science interface box is provided to access the ships data wiring. Typically, one bench-top PC is located in this lab for general science use, but often it is relocated to create bench space. An ethernet hub can be added to supplement the two permanent ethernet ports. A bench-top nitrogen generator for science use is located in this space, as well as a small science refrigerator and freezer. This is a general purpose laboratory located on the port side of the Main Deck. Access is from the center passageway and from the ROV Bay. 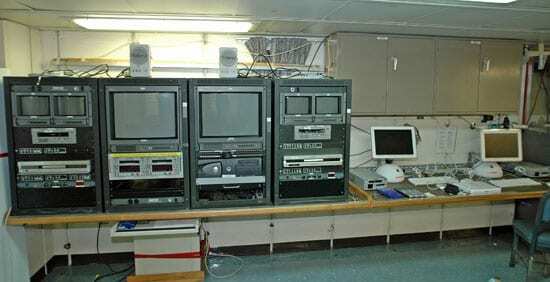 The aft end of this lab is used by NDSF personnel for working on the ROVs. A sink is provided, with a source of water from the uncontaminated seawater system, as well as a Millipore deionized water filtration unit. A science interface box is provided to access the ships data wiring and there is also a fume hood. A 16-port ethernet hub is provided for access to the ship’s network. A general use PC and laser printer are also set up in this lab. This lab is located immediately forward of the ALVIN hangar. It is designed as a small space for drawing water samples and for maintaining water sampling equipment. It is accessible from the hangar through a double-wide door, from the center passageway and from the deck area. It has one sink, one small fume hood, and a source of water from the uncontaminated seawater system. This space is often used for the rock saw as well. A science interface box is provided to access the ships data wiring. Normally two ethernet ports are available, though that can be expanded with a portable hub if needed. This lab is located on the port side of the Main Deck, forward of the Hydro Lab. It is accessible from the internal passageway. This space holds the core of the ships data acquisition and computer resources, as well as the Seabeam swath sonar system and the Knudsen echo sounder (bottom profiler). The forward end of the space holds a traction and hydro winch control station, as well as a ship’s remote control station for conducting dredging and towed-platform operatons. Two iMacs and three Windows computers are available for general science use as well as three Linux computers. 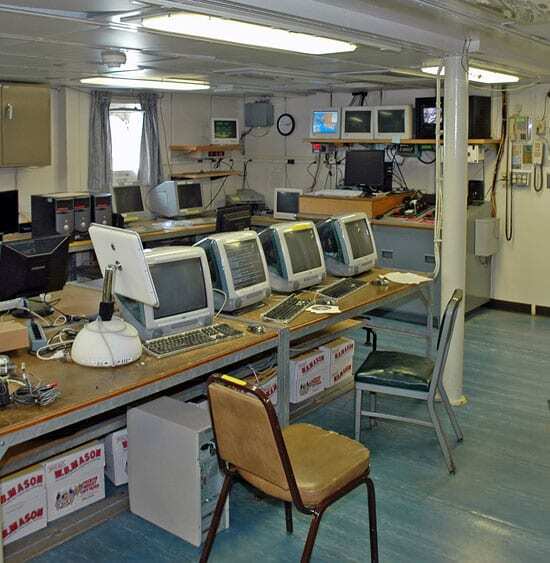 Multiple other computers that serve as the ship’s servers, data collection computers, etc. are also located in this lab. Two large color plotters, one color laser printer and one B/W laser printer are all networked and located in this lab. Multiple ethernet ports are available. A science interface box is provided to access the ships data wiring. A fax machine is located here for the scientists and technician's use. This is a large space at the forward end of the Main Deck designed for storage of science gear. Three-tiered shelving provides storage for boxes and crates. Equipment can be lowered into the room through an overhead deck hatch.